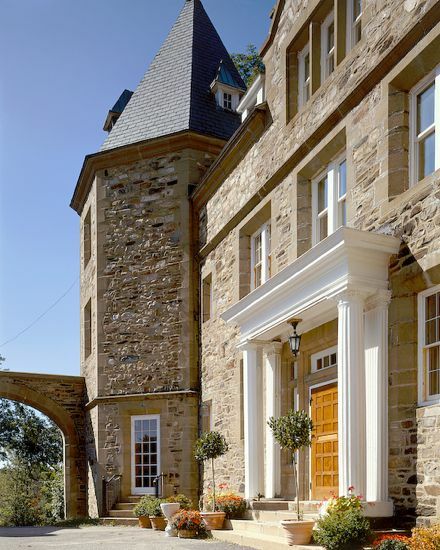 Travel, fashion, & design refined, with the discerning world traveler in mind. 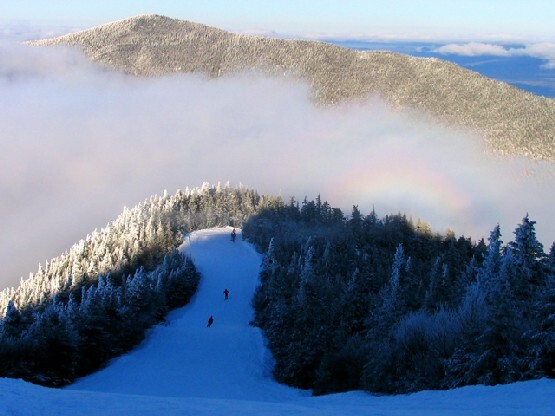 Ski Weekend in the Berkshires, anyone? For a fun winter weekend escape from New York City or Boston, head up the Taconic Parkway or route 22 north (starting in Brewster ) to the Berkshires for skiing at Butternut Mountain or Catamount, or across the Rip Van Winkle Bridge across the Hudson River to Windham. 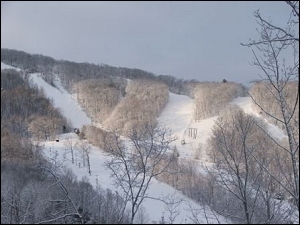 All three are great destinations for weekend skiing outside of New York City. In fact, you could even drive up for the day since it is only a 2.5 hour drive from Manhattan. Windham, Butternut and Catamount offer great skiing, while the surrounding towns offer apres-skiing in the form of cute bars, restaurants, and antique shops! Shred during the day, and then cuddle by the fire and laugh about your great ski turns or snowboard jumps, stellar form, and beautiful antiques you bought at a bargain. 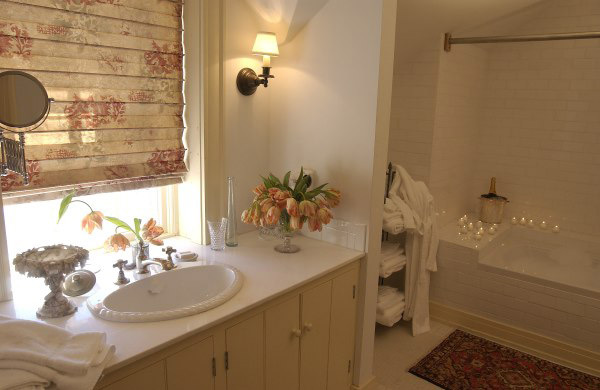 Gedney Farm is quintessential New England, with really gorgeous interiors. The interior decorating is western country chic, with leather couches, warm tones, and a cozy ambiance. The lobby and outdoor area are charming and beautiful. Mepal Manor looks like an English countryside manor, and has an adjacent spa. 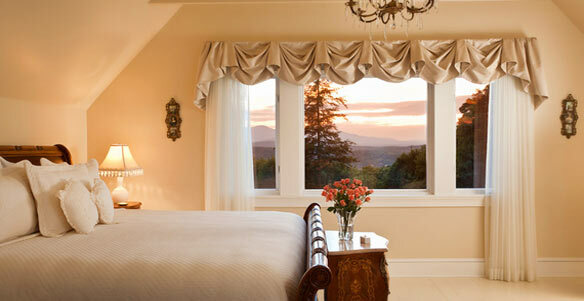 Its rooms are romantic, with views of rolling hills. It has a new renovated wing with really nice rooms with big bathrooms. Though less charming of a hotel from outside, the rooms here are lovely, modern, and in “Execute Wing” quite posh: hottubs! There’s also an indoor pool. 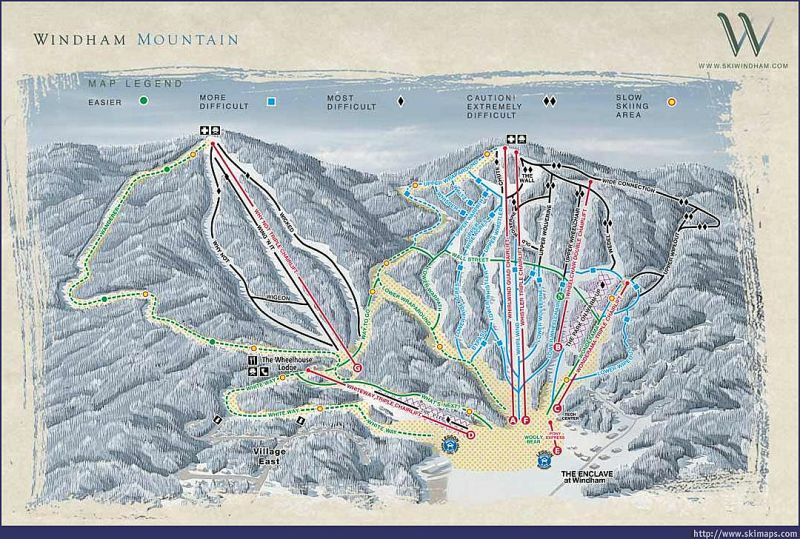 Mount Merino Manor – If you want to ski Windham, this is the most convenient place to stay. It’s right at the end of picturesque Warren Street, the antiquing and restaurant hub of Hudson, New York. A lot of designers come to this street for great antique finds with which to furnish lavish New York City apartments. 1. Old Inn on the Green – this place got like 400 gajillion on zagats, due to the amazing chef, stellar service, and one-of-a-kind “am I in the 18th century?” ambiance. 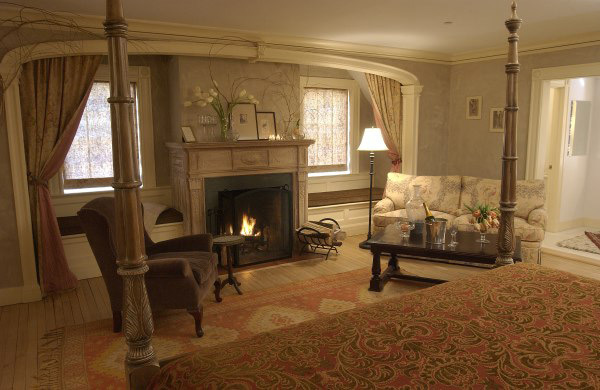 The interior is awesome: this Inn was built in the 1800’s and the decor has not changed. There is still no electricity in the dining room, so the entire room is lit only by the candle light, with hushed tones and supposed ghosts around every corner adding to the memorable experience. 4. Rouge, W. Stockbridge – great bar, tapas, great French food. 5. Cafe Adam, Great Barrington – good food, consistent, menu doesn’t change much and it’s always delicious. 6. Woodlands – great restaurant in Lakeville, CT.
7. Route 7 Grill – Cute and Brooklyn-y, with live music many nights. The owners are 2 young Brooklynites so it really does feel like a bit of hipster Brooklyn in the country. A big open room with great bbq and comfort food, served diner style. It’s also great for events, I had the rehearsal dinner for my wedding here and it was a huge hit. 8. Earth Foods – my favorite place for lunch on Warren Street. It’s family owned and the three sisters all work there. Great for salads, soups, and sandwiches. 9. Church Street Cafe – in Lenox. Only open in summertime. Yes this is a really fun activity, I promise. Read some Country Livings or Martha Stewarts to get excited for this. There’s great antiquing in Sheffield, Great Barrington, Stockbridge, and Lenox. TEE TIMES: Call to reserve a tee time atCranwell Country Club in Lenox, MA, or Egremont Country Club in Great Barrington. Swimming in the Lake : You can drive 7 miles past Gedney Farm to York Lake and have a lovely lake swim. Hiking in the Berkshires – take a scenic hike with a guide who will tell you about history & nature. 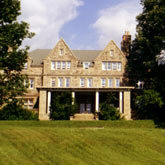 Indulge in a Spa Afternoon – Mepal Manor’s Spa will provide a hiking guide to groups of up to 10 people for $100. Thus it is $10 per person, for a 2 hour scenic hike with a guide who tells you all about the history and nature around you. How fun!! Please call 413/229-7501 to arrange your group hike! Awesome recommendations. I am hoping to get up there at some point this winter and it’s great to have a trust-worthy list of bars and shops to check out. Thanks!! Happiness Is . . .
There’s Still Time . . .
Let the Holiday Shopping Begin! Take Me Out: New York Holiday Dinners Wishlist! Wish Could Chat, but Oh So Busy . . . When I Look at This Boat . . .
What does a “Williamsburg Mama” Wear? Pack Your Surfboards, We’re Going to Montauk! If the Cute Baby Shoe Fits . . .
Take Me To the Chesapeake Bay! Fancy a Cocktail at La Cervara? Lake Garda, how I love thee! Hello, We’re Back from Santa Margherita! New York Travel Photos: East River Ferry Contest! Sicily! Part 3 . . .
Sicily! Part 2 . . . Surprise for Mama . . . and Baby Too! Keeping Cool: Ices & Ice Cream! Getting so excited ! ! ! Paris like Blair . . . and Dan? I Keep Looking At . . .